Over millions of years, the vertebrate immune system, whose function is to protect the body from harmful intruders, has evolved into one of the most complex and intelligent biological systems. Here, we discuss a novel agent-based model of T cell cross-regulation in the adaptive immune system, and we apply it to binary classification problems analogous to those faced by the immune system. We expect our adaptive method to automatically classify textual documents in temporal changing corpora such as bio-medical articles and personal e-mails. We discuss how the guiding of T cell self-organizing dynamics can be seen as a general system of classification, the study of which is helpful for complex systems and immunology. 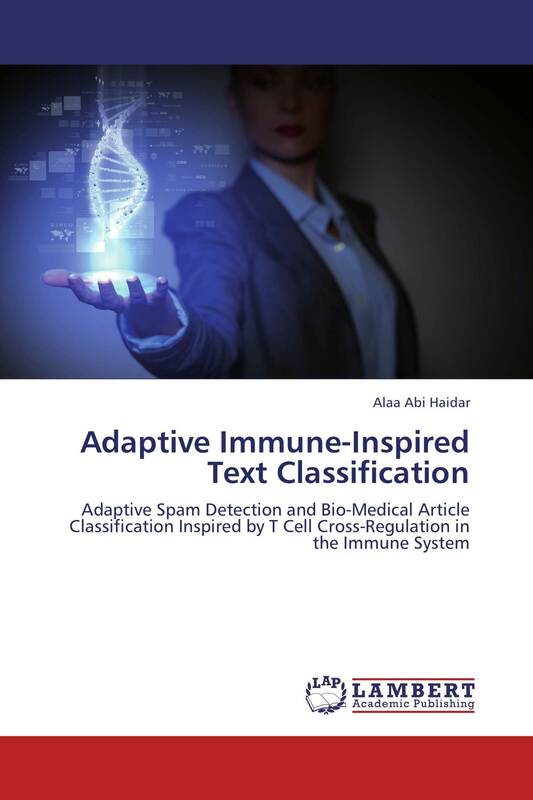 "It is inspired by the way the body's immune system fights off invading diseases and, according to Dr Abi-Haidar, promises greater resilience than existing systems to changes in the ratio of spam received compared to normal email (ham)." -- Telegraph. "ALife Conference To Reveal Bio-Inspired Spam Detection" -- Science Daily. "Cientistas portugueses criaram «aspirador» de lixo electrónico" -- Ciência Hoje. "Podemos hacer software que nazca a la vida" -- Tecnomania.